Wireless Traveler offers an expanding range of cost saving wireless communications products and services for the international leisure and business traveler. 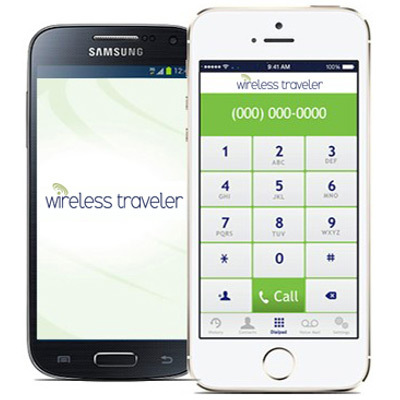 Wireless Traveler is a leading provider of international phones and services to the Travel Industry we pride ourselves on our concierge service that we offer to our customers. The Wireless Traveler team is made up of recognized innovative veterans from the wireless and travel services industry. Together we are dedicated to lowering the high costs of communicating from abroad for the international traveler. In 2009 so far we have introduced products that have reduced the cost of calling for international travelers by up to 80%. More innovative cost savings products will be announced for the corporate and leisure traveler over the coming months. Simply check our RATES for the country you are traveling to. Then view our PRODUCTS where you can purchase a WirelessTraveler phone (inclusive of Global SIM card, international adapter and $25 free call value). You can also purchase a global SIM card on its own if your domestic cell phone is an unlocked, quadband GSM mobile phone. Our excellent customer service team would be happy to help you out with any other questions that you may have. You can contact us directly at 1 866-700-3883.